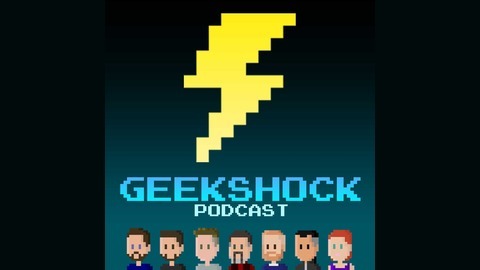 The Geek Shock Podcast covers the week in geek, including tv, movies, video games, dvds, comics, horror, sci-fi, and all things geek. Also check out the video show at uglycouchshow.com! Jeff seizes the reigns as we talk about what Lucas likes, Hellboy, Streaming v Blu, Pepsi v Space Billboards, The Elba, SpaceX, Star Wars, Screen Gems, Y loses X, BeeBop, plus sports sports sports. 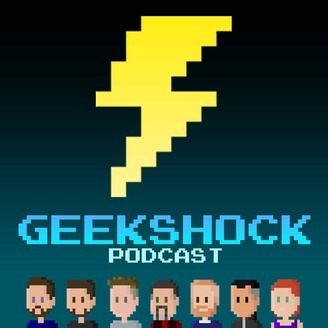 The 80's Jeff PR Firm confirms that it is time for a Geek Shock! Geek Shock #482 - Jobs Are Temporary. Film Is Forever.